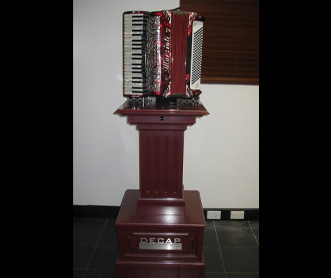 Decap accordion, a most entertaining and versatile modern instrument made by Frank & Tony Decap of Herentals, Belgium using their traditional family methods and a palm PC activating the Marzioli accordion. Equipped with 1300 tunes it is always popular and entertaining. 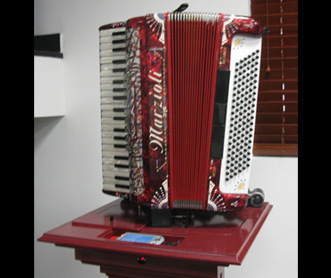 The accordion also has an optional electronic percussion accompaniment facility.